Every year Jenny's* company attended a large trade show where they gave away a variety of promotional products branded with their company's logo. As the purchasing agent, Jenny spent hours researching the products they wanted to buy, finding the best prices from online vendors, and scheduling delivery of the various products in addition to her regular work. Jenny emailed Rachel, our resident product researcher, a spreadsheet of the products she ordered each year, the price she paid and the company from which she ordered them. Then Jenny went back to work. And Rachel started to contact our distributors, negotiated pricing and scheduled delivery of the products, because that's just what we do. At the end of the project, Jenny had all the promotional products she needed, at lower prices and all right on time. Each year a food distributor held a marketing event for major customers to introduce new products, incentive programs, and to generate a buzz about the company. Frankly, these events had gotten borrrring! 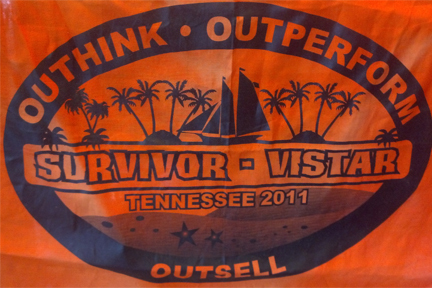 The new sales manager wanted to spice things up with a Survivor (TV show) themed event and asked us to help create an immediate impact by mailing each attendee something unusual. 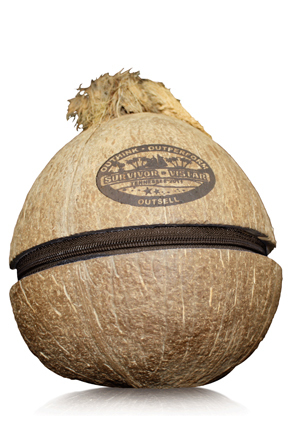 After extensive research we proposed to mail an actual coconut with a zipper. We engraved the coconut with the logo that we designed for the event. Inside we stuffed buffs (large bandanas), also printed with the logo. Attendees were divided into teams for the event and members of each team had a different colored buff. For the event itself, we designed a booklet that explained marketing programs for the coming year, and we furnished a number of additional items that mimicked the Survivor theme. The event created a lot of enthusiasm and the most successful marketing effort in the company’s history. Unusual shapes, sizes and items make a memorable impact to create buzz and open doors for your sales team.